Meiji Techno's new MT6200ECL Series binocular laboratory grade upright microscopes are our new Biological (LED Epi-Fluorescence) microscopes with an ergonomic tilting binocular head that tilts from 10° to 50° degrees to accommodate most users heights. The MT6200ECL Series employs Meiji Techno's all new ICOS™ (Infinity Corrected Optical System) making the study of mounted specimens fast and easy while delivering an excellent cost-to-performance ratio. The MT6200ECL Series microscopes are configured for Brightfield and Epi-fluorescence but can also be outfitted with optional Phase contrast, Polarized light and Darkfield components. System modularity makes purchase and operation very affordable for colleges, universities, researchers and clinics. 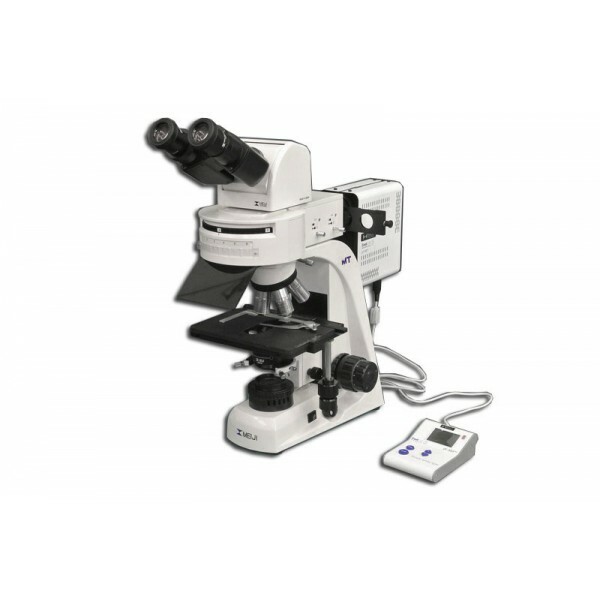 Epi-Fluorescent Microscopes with and LED light source has its advantages, such as intensity from a conventional lamp decreases through its life, which means that illumination varies dramatically over time. The lifetime of LED’s far exceeds that of these older lamps, ex. Mercury, Metal Halide, Xenon models and intensity remains broadly constant throughout its life providing a stable, repeatable light source. Some of the many fluorophores excited by the PE-300 CoolLED add-on series are FITC, DAPI, Cy3, Auramine, TxRed, mCherry, TRITC, ChR, Hoechst, Cy5, Calcofluor, RFP to name a few. 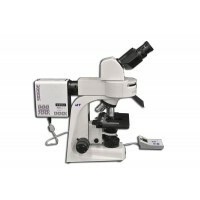 Note: First decide on the Microscope model that fits your requirement, Binocular or Trinocular, or Ergo-Binocular or Ergo-Trinocular model. Secondly decide on the proper Meiji Techno CoolLED illumination unit for your application. Simple to Choose: No alignment or adjustment needed once installed, already configured for your everyday fluorophores such as DAPI, FITC, TRITC & Cy5 and affordable through your lab consumables budget. Simple to Fit: Direct fit means the CoolLED unit just attaches straight onto the microscope’s epi-fluoresence port in seconds which is optimized for light output for your microscope. Simple to Use: Instant On/Off with the ability to optimize intensity and minimize sample damage via the simple desktop Control Pod, really simple to fit and use immediately with less down time for set-up. 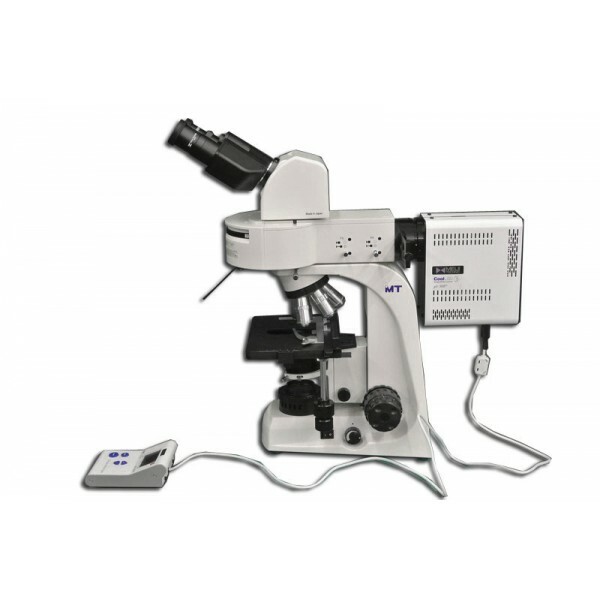 MT6200ECL Binocular Ergonomic Microscope with Epi-Fluorescence is an optical biological microscope that uses fluorescence and phosphorescence instead of, or in addition to, reflection and absorption to study properties of organic or inorganic substances. The binocular head has the ability to tilt from 10° to 50° degrees. 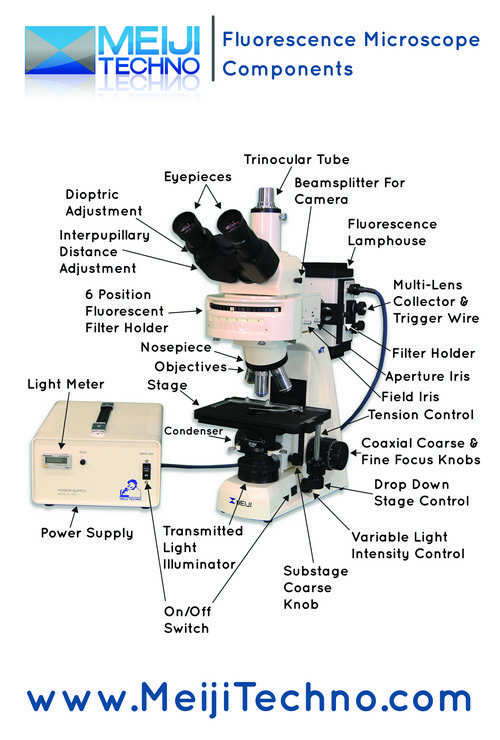 The “fluorescence microscope” refers to any microscope that uses fluorescence to generate an image, whether it is a more simple set up like an epifluorescence microscope, or a more complicated design such as a confocal microscope, which uses optical sectioning to get better resolution of the fluorescent image. 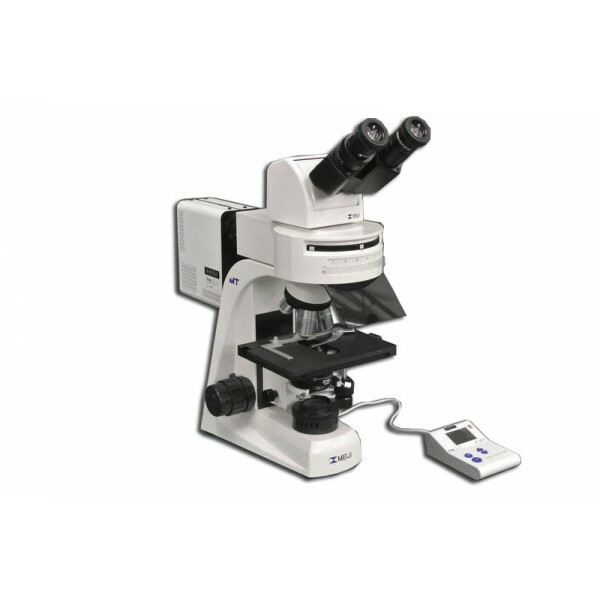 Equipped with Chroma filters and a six position filter holder, there is a slot to add 3 more filter cubes and desired filters for your specific experiment or application. Intensity from a conventional lamp decreases through its life, which means that illumination varies dramatically over time. 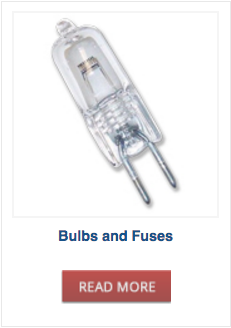 The lifetime of LED’s far exceeds that of these older lamps, ex. Mercury, Metal Halide, Xenon models and intensity remains broadly constant throughout its life providing a stable, repeatable light source. 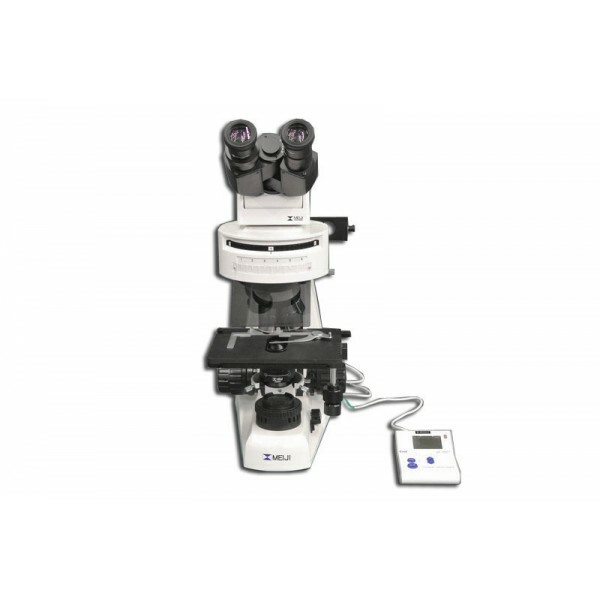 Some of the many fluorophores excited by the PE-300 Series are FITC, DAPI, Cy3, Auramine, TxRed, mCherry, TRITC, ChR, Hoechst, Cy5, Calcofluor, RFP to name a few. 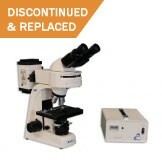 The MT6200ECL Binocular Ergonomic Series employs Meiji Techno’s all new ICOS™ (Infinity Corrected Optical System) making the study of mounted specimens fast and easy while delivering an excellent cost-to- performance ratio. 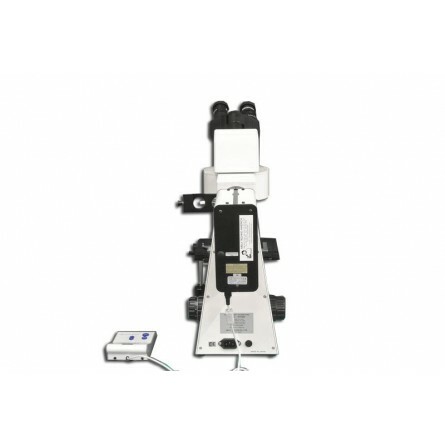 The MT6200ECL Series microscope are configured for Brightfield and Epi-fluorescence but can also be outfitted with optional phase contrast, polarized light and darkfield components. 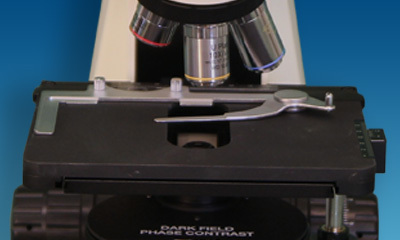 System modularity makes purchase and operation very affordable for colleges, universities, researchers and clinics. • Adjustment of output in 1% steps on all systems – giving precise control whether imaging quickly or for a gentler approach to care for your samples. • Spectral coverage for all your everyday fluorophores: DAPI, CFP, Aqua, GFP, FITC, Tritc, TxRed, Cy5 and alike. 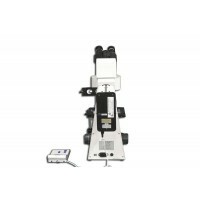 • MT6200ECL: Binocular Epi-Fluorescence /Brightfield Compound Microscope with Quintuple Nosepiece and PE-300L/LED MT CoolLED incident light source and LED transmitted illumination. 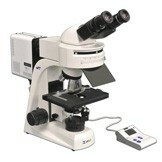 • MA957: Ergonomic tilting Binocular head-Siedentopf type, Adjustable tilt from 10° to 50° degrees, Erect Image I.P. adjustment 53mm to 75mm, graduated diopter on left eyetube (30.0mm I.D. eyetube). Model MA815 is the Siedentopf-type binocular head and MA816 is the trinocular head for camera integration. Each head has the eyetubes inclined at 30 degrees with the left eyetube having graduated diopter settings. The interpupillary distance is adjustable between 53mm - 75mm. 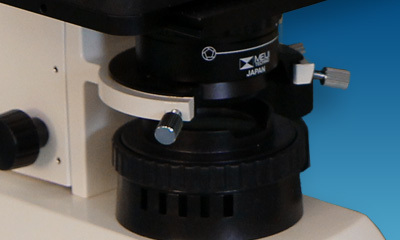 An 80/20 beamsplitter for the trinocular tube can be engaged for photo-microscopy; 100% to eyetubes or 80% to phototube & 20% to the eyetube. The optional MA957, Ergonomic Binocular Viewing Head, has the inclination adjustable from 10 to 50 degrees to fit users of different heights. 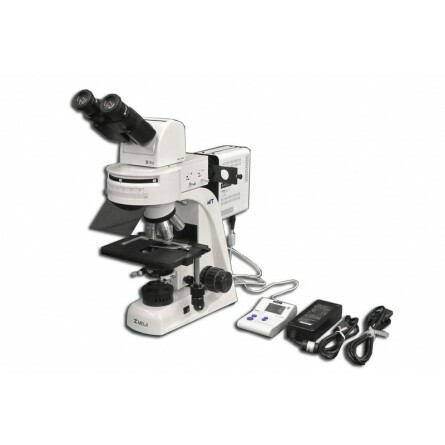 The Ergonomic Trinocular model comes with the MA958, photo/video attachment with sliding 80/20 beam-splitter (Included in MT6300EH). 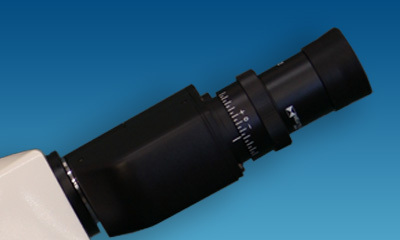 10X Super Widefield High Eyepoint eyepieces F.N.22 are standard, and 15X and 20X eyepieces are also available as an option. 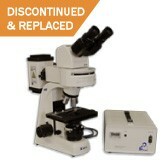 A Super Widefield High Eyepoint 10X focusable eyepiece that accepts 25mm reticules is also available. Quintuple nosepiece provides effortless objective changes with smooth-operating, ball bearing mounted. Ceramic coated flat top stage measures 191mm x 126mm with 100mm x 100mm x-y travel. 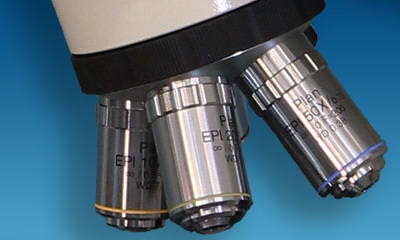 Ergonomically positioned left or right-handed coaxial drop down controls. 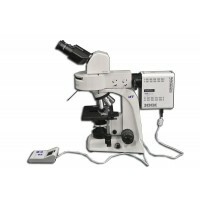 Available with motorized components. Abbe condenser NA 1.25 with iris in dovetail mount is included. 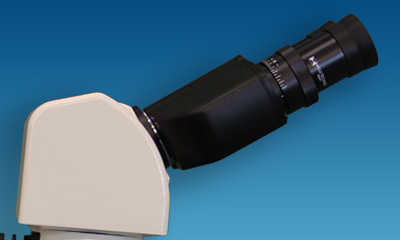 Optional condenders include a Zernike Phase Contrast Condenser NA 1.25 with iris in dovetail mount and darkfield condenser with dovetail mount. 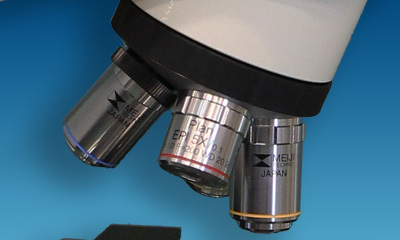 Meiji Techno offers a broad range of digital video cameras which offers excellent sensitivity, high resolution and a wide dynamic range for the most demanding brightfield and darkfield microscopy applications including clinical pathology and cytology, life sciences and geology. Some models has included software, that can preview and capture still shots and live videos to a PC or Mac with USB port or HDMI connectivity.